Education Wing is an important wing of the SSSSO worldwide, deeply committed to the sacred task of imparting human values to children of varying, faiths, cultures and backgrounds. The activities mostly include Sri Sathya Sai Bal Vikas programme, Value Educations at Schools, Dynamic Parenting, One day at a school, Inter School Competitions, Free Education / Coaching for needy students, Education in Human Values Awareness programmes for teachers etc. The Bal Vikas programme is spread over a period of nine years (from the age of five years to fifteen years), during which the children are taught to not only understand values, but also to implement them in their daily lives. The Bal Vikas programme is conducted on every Sunday for 1 Hr 30 minutes only through the use of five teaching techniques - Silent sitting/ guided visualization, Story-telling, Prayers, Group singing, Group Activities. 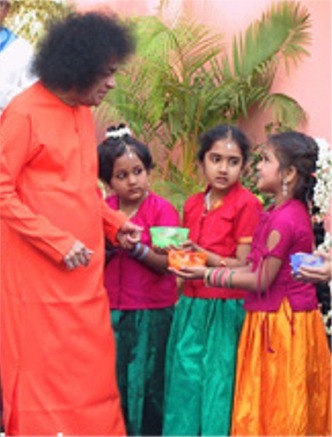 For the success of this programme the children are taught daily introspection and the older children are given spiritual diaries to aid them in this process of character development. The cooperation of the parents is imperative if the instruction given in the classes is to have the desired result. Keeping this in mind, the Bal Vikas guru remains in touch with the parents, through regular meetings.